I recently picked up a 91 G20 cargo van, and in the same week found a parts van which is a 94 Sportvan that a tree fell on. As soon as I got the G20 home; I changed the oil, oil filter, air filter, fuel filter, and spark plugs, and replaced the rear brake shoes. Been pulling some of the nicer interior bits off the 94 and putting them on the G20. The driver door was damaged on the G20, so I swapped that over. Also swapped the rear right side door off the 94, as the cargo vans don't have locks or handles on the inside. Next move is to swap over all the operable windows. The AC isn't working on the G20 but it works on the 94, so AC is on my list to do before spring. Next, I need to replace the steering box which has clearly been leaking and feels way loose. The things I'm not sure about are: the temp gauge shows 100 no matter how hot the van is, and the heater/defrost fan works on all speeds but is very week. Eventually I'd like to convert the G20 to 4x4 but that's not my first priority. I plan on setting up a trans cooler and installing a receiver, as I plan to tow my toy hauler with the van. The G20 is my daily driver and I plan to keep it for the long run. I will be driving it to L.A. in a couple weeks to visit family, and tend to put high mileage on my vehicles as I work all over the country. Any decent advise is welcome. 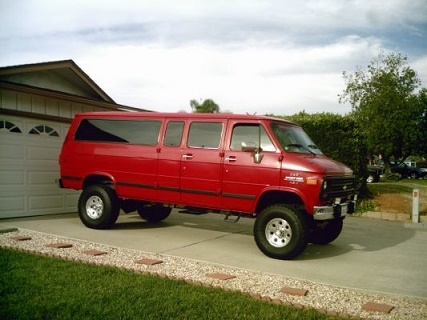 And, I've had a few other vans in my past, but it's all been trucks and motorcycles for the last several years. 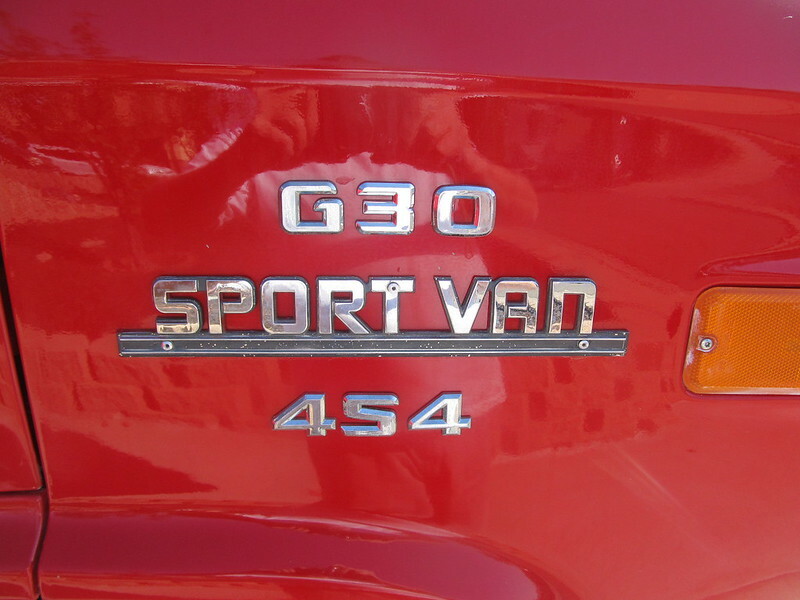 Welcome welcome .... are the "Sportvan" badges on the donor in good shape ? The badges on the donor are in great shape. They are basically the same as yours, except they are attached from inside the body instead of drilled through the face of the badge. I'll take pics in the light tomorrow. I bet that 4x4 454 is a blast! Did you do the conversion yourself? This van has been your area a bunch of times ... had a buddy that went 4 wheelin over in Red Rock. The Nevada state maintenance system was out lookin for oil in Elko before I got it. Been to the Reno Air races quite a few times ... always went to that off road park before I left to do some rompin ..
to the site , good to have ya here.